Featuring heritage characteristic and handicrafts. Enjoy the local products from market and shops around. A VERMOUTH ON THE BALCONY! Or a quiet morning breakfast. In an authentic small neighborhood of narrow streets and modest dwellings where fishermen once lived. Probably one of the most charming courtyards in Barcelona. Myriad of bakeries, bars, local and trendy restaurants, local shops and supermarkets. The Poblenou food market is at 1 block. Featuring many restaurants and Chiringuitos (beach bars). 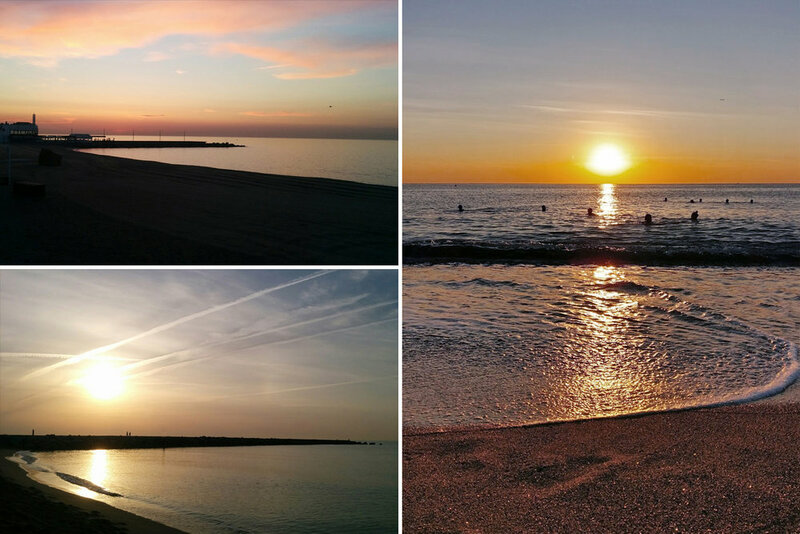 Barceloneta is 10 min away walking. Las Ramblas is 15 min away. Enjoy its Chiringuitos, restaurants and cycling around. See the sunrise of Barcelona just behind the apartment.